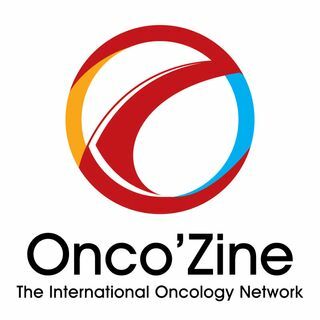 This week in The Onco’Zine Brief: Peter Hofland, Ph.D and Sonia Portillo talk with Otis Brawley, MD, MACP the Chief Medical and Scientific Officer of the American Cancer Society. Hofland and Portillo ask Dr. Brawley about the past, present, and future of the fight against cancer, including screening, diagnostics and treatment with novel, targeted drugs, and the role of the American Cancer Society in helping to prevent cancer. In today’s interview they further address some of the most ... See More pressing issues in oncology today, such as cancer health disparities and access to healthcare in lower income areas, as well implementing healthy lifestyle choices and reducing cancer risk factors, in order to make the biggest impact possible on reducing the number of cancer-related deaths. Hofland and Portillo also ask Dr. Brawley how to go about meeting the challenges in healthcare and find a solution for cancer health disparities, as well as how to educate the public on how to prevent and reduce risks of cancer in our daily lives - including the need of a healthy diet and to stop smoking. This interview, took place during the annual meeting of the American Association of Cancer Research held April 14-18th, 2018, in Chicago, Illinois.